A quick-moving cold front will bring gusty winds and more clouds. Meteorologist Kari Hall has the details in the Microclimate Forecast. The wait is almost over, Bay Area residents. Following several storms that soaked the region previously this winter, spring-like weather will take over this weekend. 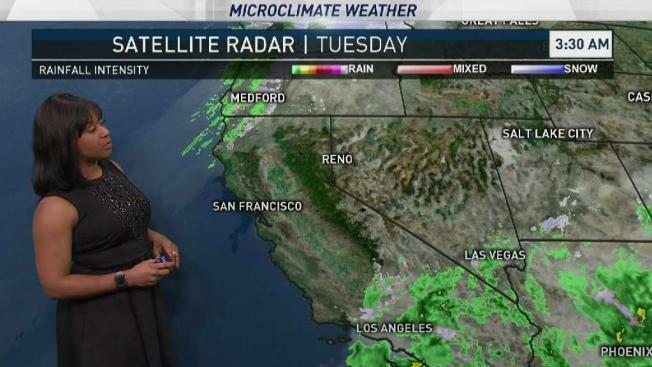 Inland spots are predicted to top out in the low 70s on Saturday and Sunday, NBC Bay Area Meteorologist Kari Hall said. San Francisco is expected to reach the high 60s on both weekend days. Folks should enjoy the warmer weather while it lasts. The National Weather Service on Tuesday stated that more rain could return next week.